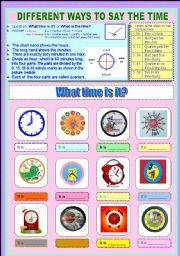 Different ways to say the time! Hi! 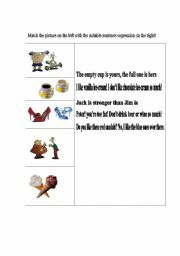 I´ve used this worksheet for my lesson at elementary level and It sounded interesting. My learners really could understand some ways to say time easier! Hope u so! very often my students find dificulty in using the idioms in speaking than the other easy ways. So I must prepare this worksheet for my sts to practice. Hope u enjoy it! 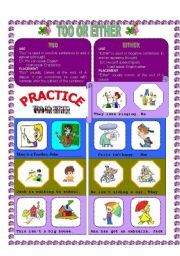 This easy way may help your learners to understand how to use and apply "too" and "either" in speaking! This can help the speakers to brainstorm their ideas and express their own opinion about the given topic! 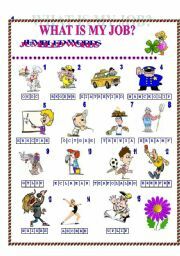 Make sure that your learners can remember some vocabulary about career by using this worksheet! 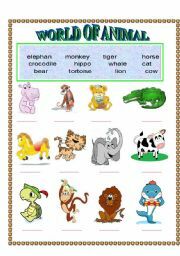 Make sure that your learners really remember some animal names by using this worksheet! This easy topic will help your young learners to express their ideas easier. Pls ask them to do the same with their family. I ´ve already used this in my class and it´s really interesting! Practice making questions with "whose"
This exercise may help learner to revise questions with "whose" and possessive adjectives or pronouns! matching the picture with its sentence expression! 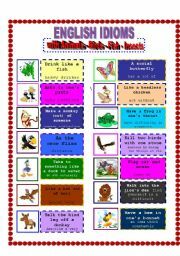 It may help young learners to relax by matching pictures with the given sentences! one minute is enough? 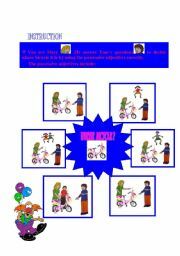 This is my ppt lesson about the simple present tense. There are two parts. Pls download all parts to fullfill the lesson. 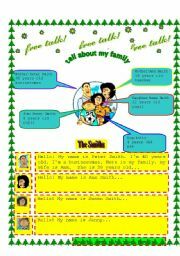 This is my ppt lesson about the present simple tense. There are two parts. This is Part one. Pls download all to fullfill the lesson. Some learners can not make the different between few or a few, little or a little. I hope this will help u in explanation!